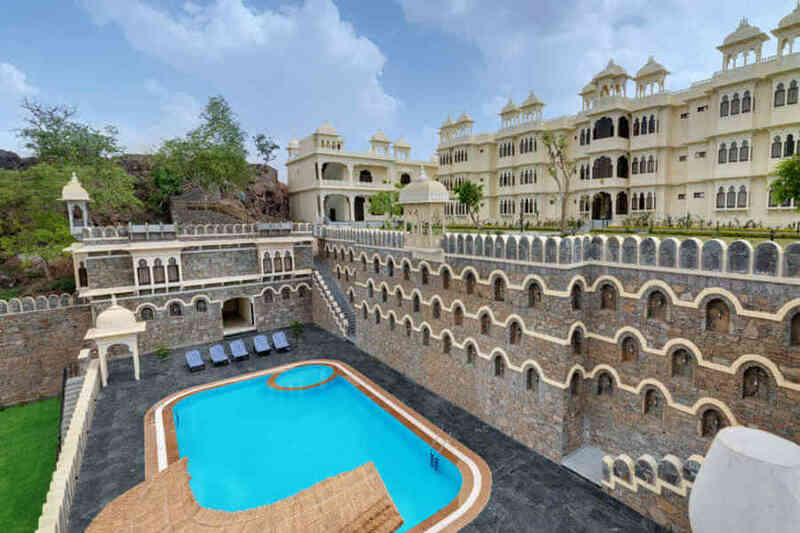 Use the form below to inquire about Luxury Fort Stay In Kumbhalgarh Rajasthan . 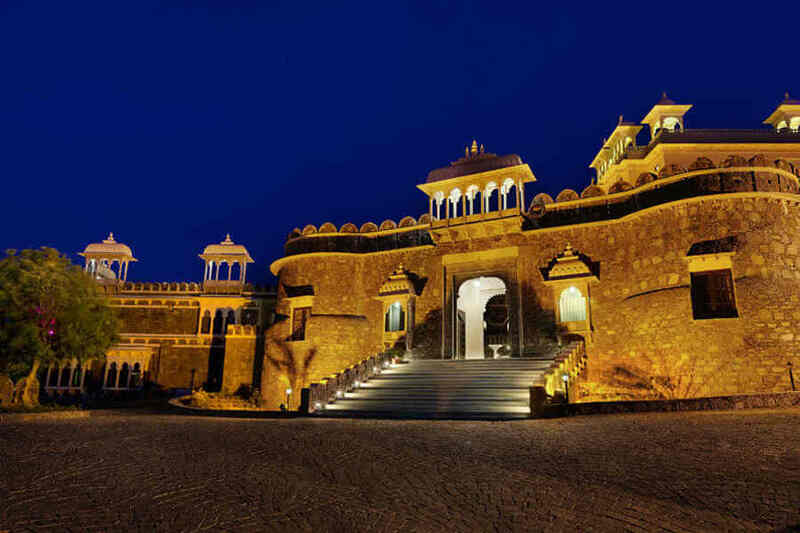 Use the form below to reserve for Luxury Fort Stay In Kumbhalgarh Rajasthan . 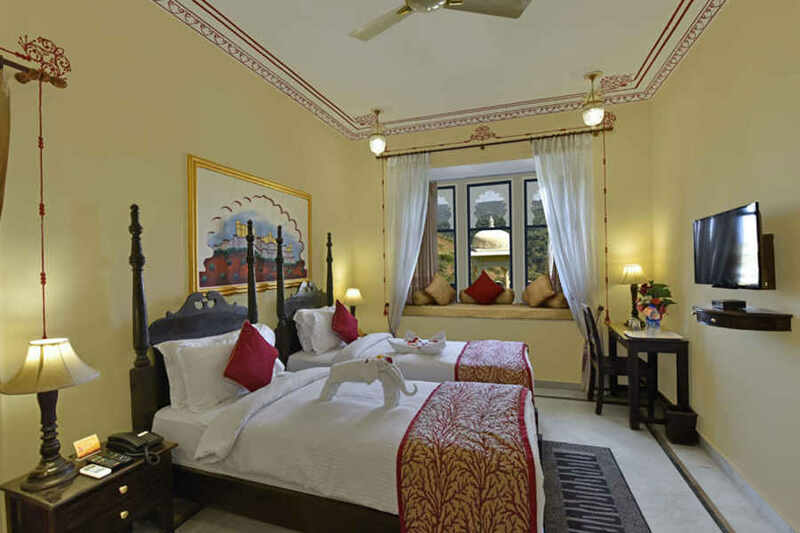 The Luxury Fort Stay In Kumbhalgarh invites you to a splendid holiday experience in a lavish and magnificent setting. Get ready for a royal treatment. Perched 3600 feet above sea level, Kumbhalgarh graces the skyline of Mewar with one of its most iconic edifice, the Kumbhalgarh Fort. Unlike other forts in India, this historic structure boasts of a thick, massive, encircling outer wall that extends over 36 km, and is touted to be the second largest wall after the Great Wall of China. The rugged appeal of Kumbhalgarh isn’t limited to the fort alone. Steeped in history, heritage, and numerous tales of Maharana Pratap Singh, the place is a journey into the realms of a bygone era. A holiday in such a place is nothing short of an unforgettable experience. Enhancing the charm of your sojourn is the Luxury Fort Stay In Kumbhalgarh that promises you a royal treatment in every sense of the term. 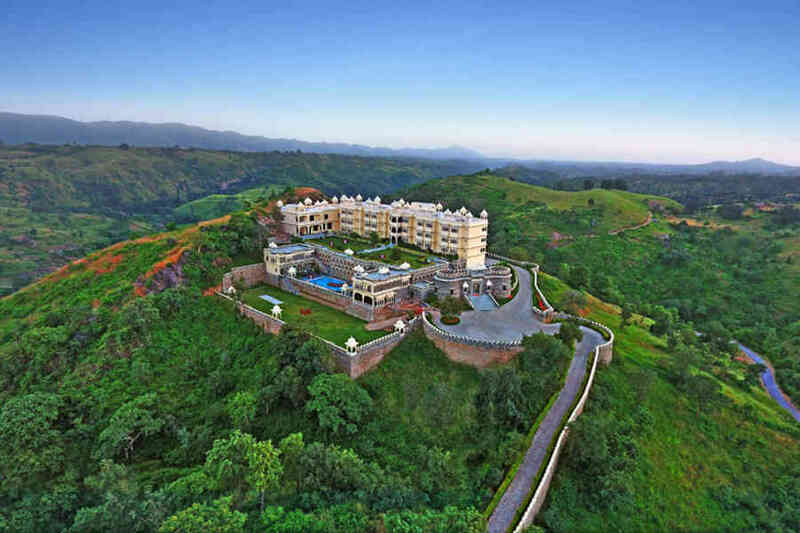 Standing on a slope of the Aravalli Mountain Range, the Luxury Fort Stay In Kumbhalgarh offers a mesmerizing view of the surrounding areas. Breath-taking natural wilderness surrounds the resort on all sides. This indulgent holiday abode comprises of all the modern amenities that you can desire for a comfortable stay. Whether you are up for a relaxed sojourn or an adventurous trip, you can expect an ecstatic time at this fort stay. The lavish ‘drink and dine’ options at the Luxury Fort Stay In Kumbhalgarh include a well-stocked bar and a multi-cuisine restaurant. You can even explore the exclusive recreational area of the resort that offers a multitude of leisure activities to keep adults as well as kids busy for hours. If rejuvenation is on your mind, you can have a truly relaxing time at the luxurious in-house spa. Accommodation at the Luxury Fort Stay In Kumbhalgarh comprises of 2 suites and 30 semi-suites, all of which provide you with splendid views of a placid lake as well as the glorious Aravalli Mountain Range. 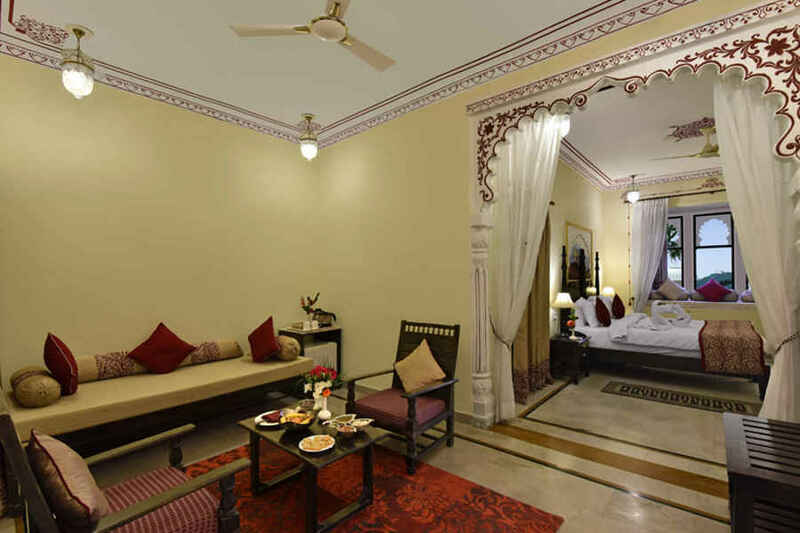 Each room is a picturesque tale of Rajasthani charm and lavishness. The well-furnished rooms are attached to private sit-outs so that guests can enjoy their stay without compromising on their privacy. A well-stocked soft bar is a common feature of every room. This means after a hectic day out, you can simply laze around in your private sit-out while nursing a drink of your choice. How about leaving aside your daily anxieties and exploring the grandeur of the Luxury Fort Stay in Kumbhalgarh for a few days? When you are in Kumbhalgarh, exploring the Kumbhalgarh Fort is a must. The grand fort may not be in its most celebrated form today, but its grandeur never fails to leave visitors in awe. It is an architectural wonder in itself. Even today you can explore temples, tanks, and palaces inside the huge fort that speak of its glorious past.When you are in Kumbhalgarh, exploring the Kumbhalgarh Fort is a must. The grand fort may not be in its most celebrated form today, but its grandeur never fails to leave visitors in awe. It is an architectural wonder in itself. Even today you can explore temples, tanks, and palaces inside the huge fort that speak of its glorious past. Not far from the fort are a few ancient temples that are worth visiting for their intricate architecture and beauty. The Mammadev Temple and the Neelkanth Mahadeo Temple are two such amazing temples that are standing examples of the immaculate craftsmanship and architectural beauty. There are several attractions inside the resort as well to keep you engaged and entertained. The resort’s club offers a number of indoor games and activities, including table tennis and carom. You can even take a dip in the resort’s swimming pool and splash about in the water, or simply relax in the lounge area. Not far from the fort are a few ancient temples that are worth visiting for their intricate architecture and beauty. The Mammadev Temple and the Neelkanth Mahadeo Temple are two such amazing temples that are standing examples of the immaculate craftsmanship and architectural beauty. 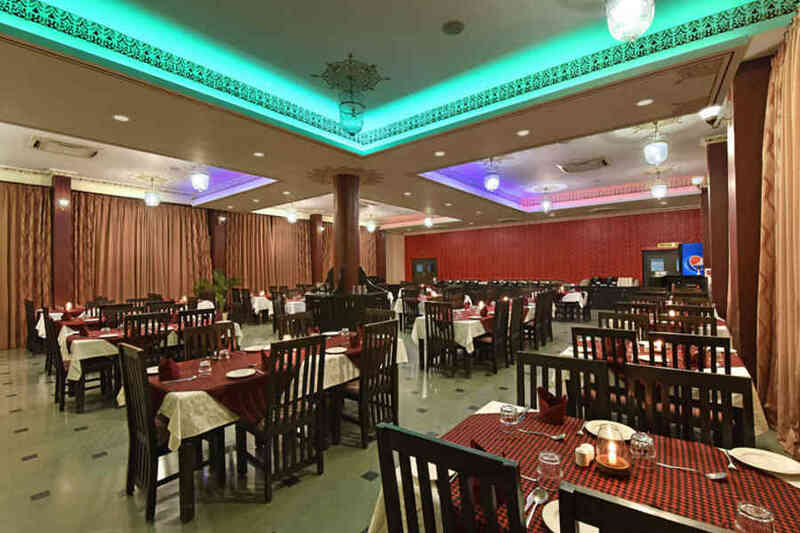 There are several attractions inside the resort as well to keep you engaged and entertained. The resort’s club offers a number of indoor games and activities, including table tennis and carom. You can even take a dip in the resort’s swimming pool and splash about in the water, or simply relax in the lounge area. 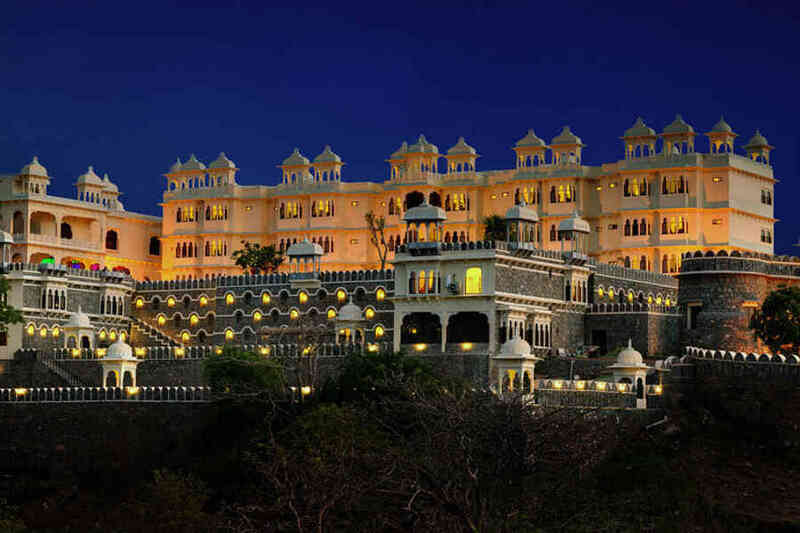 To reach the resort, the closest airport is the Udaipur Airport (112 km). The nearest international airport is in Jaipur (353 km). The Indira Gandhi International Airport in Delhi is located at a distance of 592 km from the property. The Falna Railway Station (79 km) is the nearest one from the resort. The railway station at Udaipur (97 km), Bhilwara (143 km), Chittorgarh (165 km), and Delhi (606 km) are among the other major railheads to reach the fort stay. The property can be accessed via road from various cities and towns, including Udaipur (99 km), Bhilwara (138 km), Jodhpur (176 km), and Delhi (616 km).